The cheekiest and best highlights from a life of wicked pranks. Horribly hilarious. In years of collecting jokes which make grown-ups scream in horror, Henry has kept a few favourites to himself. Jokes so funny that even he daren’t share them. Plus some really super-special ones that he’s been saving for YOU! 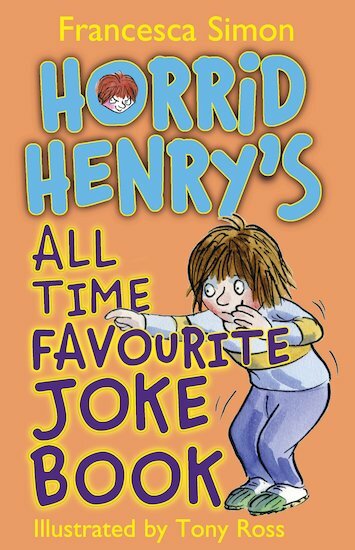 Now at last, you can get your hands on those extra-brilliant jokes in Henry’s awesome book of all-time favourites. His most fiendishly funny, utterly wicked joke book yet! Henry- what a funny silly young boy! Great TV series too!